This is a very exciting time in the lead up to the festival. I mean look who is coming to dinner – Geraldine Doogue – wow! 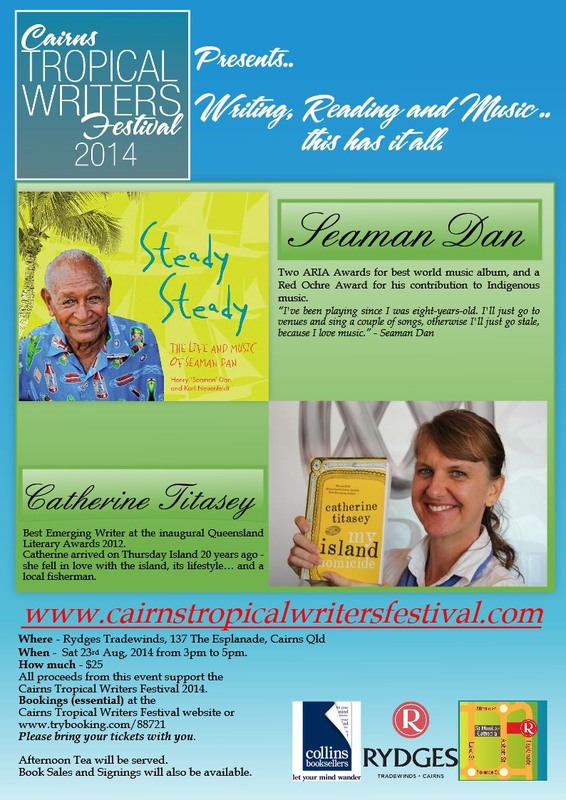 To get us all into the swing of celebrating the written word Cairns Tropical Writers Festival Committee invite you all to our fundraiser Writing, Reading and Music with Seaman Dan and Catherine Titasey – happening Saturday 23rd August – yes this Saturday. 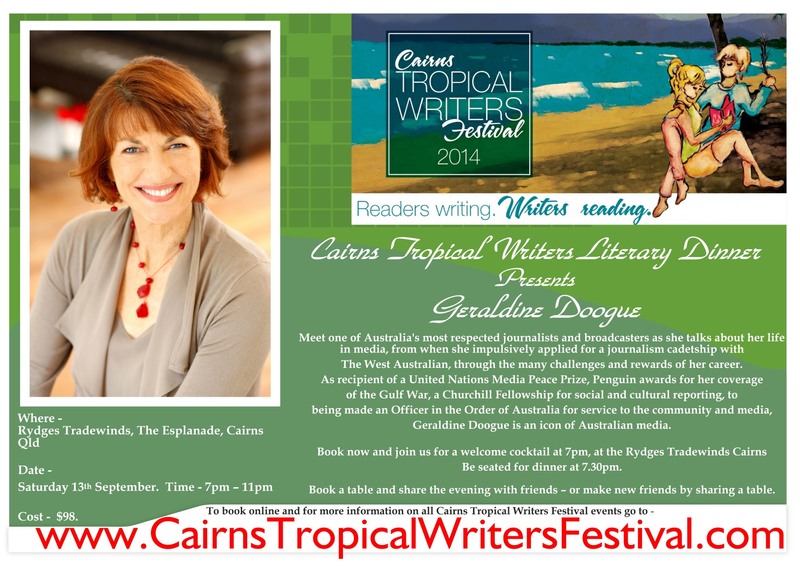 Visit http://www.cairnstropicalwritersfestival.com to get your tickets. You won’t get afternoon tea unless you have booked, paid and bring your ticket with you. Seaman Dan launches his latest book Steady Steady – he may sing asong or two and Catherine Titasey will read from her book My Island Homicide.